The Impact of the Gabcikovo Hydrodam System over Five Years. The Gabcikovo hydro dam complex, located between Bratislava in Slovakia and Györ in Hungary is the largest engineering system built on the Danube. The construction of the dam, canals and reservoir system directly affected 3,900 hectares of fields and 3,400 ha of floodplain forests in Slovakia and another 2,000 ha in Hungary at the site of the original reservoir and Dunakiliti diversion weir - built before Hungary withdrew from the project. The Gabcikovo dam system has been operating since the end of October 1992, diverting 80-90% of the Danube river water into the canal and reservoir (see map 1 below). The remaining 10 to 20% of the water is allowed to pass through the Cunovo diversion weir and directly into the old river bed, the Hungarian branch system, and the Moson Danube. Some water from the Gabcikovo canal is diverted to recharge the Slovak branch system. In addition to the direct impact of the building of the dam, major hydrological changes, including a loss of river water and a 2 to 4 m drop in the water table, pose a major threat to the remaining 8,000 ha of floodplain forests - 50% in each country. In addition, ground and drinking water reserves of the region are being reduced in both quantity and quality by the river diversions, the impoundment in the reservoir and canal, and the consequent loss of groundwater recharge. Any cost-benefit interpretation of the Gabcikovo system has to take into account the enormous economic losses in environmental services (supply of products, recreation and water purification) in the affected wetland. From the energy supply point of view, the Gabcikovo power system constitutes neither the best nor the only option for Slovakia, and the viable alternatives should be looked at. 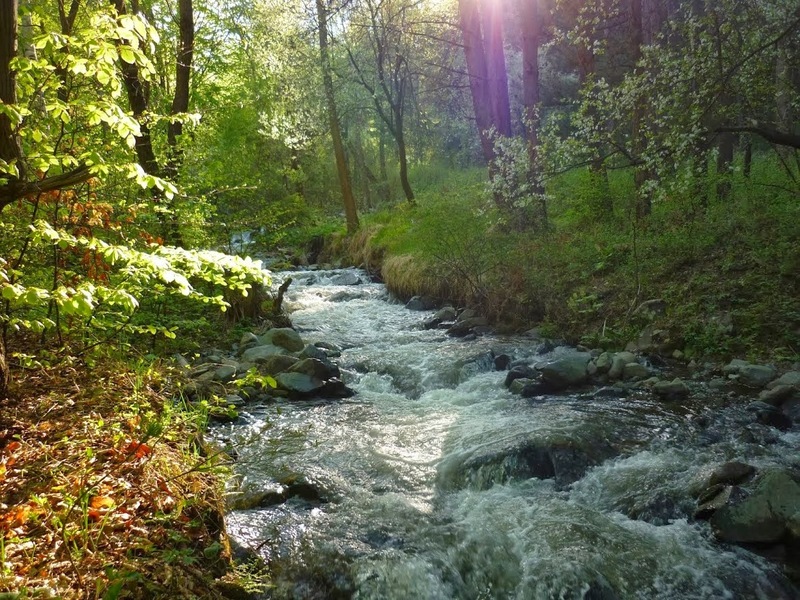 In both Slovakia and Hungary efforts have been underway to monitor and mitigate the changes to the environment caused by the operations of Gabcikovo since 1992. Both states have responded to the negative impact by building and operating artificial recharge systems in attempt to provide a sufficient water supply to the floodplain system. Together with the favourable climatic conditions in most of past summers, this system was only able to limit and slow down the continued degradation. The available evidence monitored in the area, however, and international long-term experience with similar systems in Germany and Austria, shows that this small amount of water is not appropriate for restoring the original floodplain dynamics, neither hydrologically, morphologically nor ecologically. *This artificial system provides no dynamic but only a small, constant flow of water , unable to produce the typical large-scale fluctuations and inundations crucial for the floodplain. In addition, the earlier variety of communication between the river and the floodplain is completely disrupted because the river drains the entire eco- and hydrosystems instead of regularly recharging them. *The dropping of the groundwater table along the "old" river bed cannot be fully reversed. Large scale fluctuations in groundwater, needed for both moistening and aerating the soils and the forest root zone, have been lost. *Forests, especially those along the river, are slowly dying from lack of moisture, or showing the severe stress symptoms of reduced growth rates, premature shedding of leaves, dry tree tops, etc. Damaged areas are being salvaged before their prime. *The isolation and consequent drying out of the floodplain ecosystem in 1992 to1993 resulted in both immediate and long-term changes and losses to the typical fauna and flora. Floodplain specialist species are suppressed and replaced by drought-tolerant and alien species. Based on the available evidence, WWF asserts that major negative changes are occuring to the floodplain forests, the groundwater system and the wetland biodiversity, as a result of the construction and operation of the Gabcikovo dam complex. In future, neither a continuation of present mitigation measures, nor the building of new weirs in the old river bed, can stop or reverse this degradation. The discussed peak operation of the Gabcikovo system together with the subsequent installation of a second dam some 100 km downstream, would create additional and severe environmental damage to the Danube riverine landscape. In order to protect the Danube floodplain system from further damage, WWF recommends (compare maps 2a, b below) that the previous water regime be significantly restored. At least two-thirds of the original Danube flow must be returned to the "old" river bed at Cunovo. In addition, WWF is recommending the constricting and lifting of the river bed with gravel banks and islands, and reconnection of the side-arms with the river in a comprehensive and viable solution. This should be combined with restoration of the wetlands in the dam reservoir. onducted. A cost-benefit analysis of the Gabcikovo project is needed. The decision of the International Court of Justice on 25 September 1997 prescribes a joint operation of the Gabcikovo system to serve both economic and environmental interests. A new solution requiring recognition of new environmental standards, including damage prevention, and agreement on more satisfactory volumes of water for the "old" river bed and the side-arms are needed and recommended by the Court. Публикувано от Lubo в 18:17 ч.